The United States Hockey League is now a month into the 2012-13 season. The only Tier 1 Junior A league in the U.S. is having another great year already with plenty of NHL Draft prospects emerging and some long-suffering teams becoming competitive. Fan interest appears to be on the rise as well, with 11 of the league’s 16 teams averaging more than 2,000 fans a game, including four drawing more than 3,000 per. On top of that, with the NHL off, the league gets more coverage, with some teams even getting games on local television. USHL goals are even showing up on SportsCenter’s top plays. The added exposure is telling the rest of the country what a lot of us already know, the USHL provides fans with a terrific product. 1. Waterloo Black Hawks (9-1-0) — There are two undefeated teams in the USHL, but the Black Hawks take the top spot. Why? Well, the Hawks happen to have the top three scorers in the USHL as of Oct. 31. As a team, Waterloo has scored a league-best 47 goals, 10 more than the next closest. On top of the offense, Waterloo has the best goaltending tandem in the USHL, with Eamon McAdam registering a 1.40 goals-against average and league-best .960 save percentage, while Cal Petersen has a 1.33 GAA and .952 save percentage. Player to Watch: Taylor Cammarata — F — The reigning USHL rookie of the year is off to a flying start with 17 points in nine games. The first-year draft-eligible forward still has doubters to prove wrong to earn a top-half of the draft selection, but it is certainly possible. After his highly productive rookie campaign, it looks like Cammarata has taken another step forward this year and that will go a long way for him. 2. Lincoln Stars (9-0-0): The other undefeated from the USHL very easily could trade spots with the Stars, but I gave Lincoln the slight edge due to the slightly tougher schedule they’ve had to get to 9-0. It really is the slimmest of margins separating Lincoln and Dubuque. Lincoln’s older players have really stepped up, leading an offensive attack that has outscored opponents by 20 goals. Jackson Tiechroeb (6-0-0, 1.62 GAA/.942 SV%) and Michael Bitzer (3-0-0, 1.33 GAA, .956 SV%) have been rock solid between the pipes as well. Prospect to Watch: Luke Johnson — F — Coming into the season, Johnson was getting hyped as a potential top-60 pick for the NHL Draft, but a lackluster performance at the All-American Prospects game and just three points (1g-2a) in seven games is not the start anyone expected. Johnson has some good goal-scoring ability, which is why his start has been a surprise. The North Dakota commit should be able to shake the rough start and get back to the form he showed as a 55-point man last season. 3. Dubuque Fighting Saints (9-0-0) — No Girgensons. No Matheson. No worries. Despite having to replace two first-round NHL draft picks, the Fighting Saints have been dominant. Allowing a league-low 12 goals, defense hasn’t been a problem for Dubuque. Dubuque veteran Mike Downing has been as good as advertised, while newcomers Mike Szmatula and Peter Quenneville have been highly productive and 16-year-old Seamus Malone is coming into his own. 4. Muskegon Lumberjacks (8-1-1) — Coming into the season it looked like Muskegon was ready to shake off a dismal 2011-12, and the Lumberjacks have done so with authority. Off-season acquisitions have made this a different team. The Jacks have also been better than expected in goal with Swede Kevin Lindskoug carrying the bulk of the load with a .942 save percentage and 1.72 goals-against average. Prospect to Watch: Frederik Tiffels — F — The German import is making his presence felt with five assists through his first 10 games in the USHL. Expect him to heat up as he continues to adjust to the USHL physicality and pace. There’s a lot of skill in this youngster, who is a first-year NHL Draft eligible. He’s been a top performer for Germany internationally and has some serious upside. I thought Tiffels was a savvy addition by the Muskegon staff, and he’s only just beginning to show why. 5. Chicago Steel (7-2-1) — After years of some really bad ice hockey teams, the Steel finally have a contending product. Former director of player personnel, Max Giese certainly made sure to stock the cupboard before he got hired away by the Winnipeg Jets. 2012 Draftees MacKenzie MacEachern and Jaccob Slavin have done exactly what you’d expect from them and youngsters Alex Roos and Thomas Ebbing have made Chicago’s offensive attack especially potent. Prospect to Watch: Alex Roos — F –A late 1994, Roos is eligible for the NHL Draft this season. In just 25 games last year, Roos has 11 goals and 11 assists and is on an even better pace this season. He’s undersized at 5-9, 168, but his production rate is notable this season with 11 points in 10 games. The Colorado College commit hasn’t gotten much attention yet, but if he can keep his scoring up, he should get some more looks and could be a late-round sleeper. 6. Sioux Falls Stampede (7-3-0) — Well, this has been a surprise. Sioux Falls was expected to be improved from a season ago, but most figured it would take some time. Now here they sit with the sixth best record in the league. The Stampede has won seven of its last eight games, too. The schedule thus far hasn’t been the toughest, but what this team has shown under new head coach Cary Eades is remarkable. There’s balanced scoring throughout the lineup and the goaltending has been good enough to make this team an early force. Prospect to Watch: Dennis Kravchenko — F — Though undrafted last season, the undersized Kravchenko has been putting on a show for the Stampede this year. With six goals and six assists, the former Cedar Rapids RoughRider, has displayed good speed and skill this young season and put himself on the radar at least. I don’t know if he’ll be drafted, but he’s off to a great start in his 18-year-old season. 7. Cedar Rapids RoughRiders (5-2-2) — I’ll admit, I was low on Cedar Rapids coming into the season and while the team has lacked consistency this year, the Riders have posted 37 goals, third best in the league. This is a team that is going to lean heavily on that offensive firepower with average goaltending, but they have the guns to produce. Defenseman Gavin Bayreuther leads the USHL’s blueliners with 11 points and has been a bit of a revelation. This team should be a playoff contender, but it’ll have to find a little more consistency to avoid getting passed up by teams improving down the stretch. Prospect to Watch: Gavin Bayreuther — D — Undrafted last season out of prep school, Bayreuther is off to a great start with four goals and seven assits. He’s smooth with the puck on his stick and has showed pretty good poise for a guy in his first year in the USHL. Still tough to say if he’ll get drafted, but he has decent enough size and notable puck skills. 8. Youngstown Phantoms (4-7-0) — After a hot start to the year, Youngstown has cooled in the face of a very tough early-season slate. The Phantoms have been somewhat an all-or-nothing team this year and that will have to change. As the only squad that has beaten Waterloo, the Phantoms have proven they can skate with anybody, but goaltending appears to be a concern. With J.T. Stenglein and Austin Cangelosi, Youngstown has as good a 1-2 punch as there is in the league. Expect better out of this team going forward. Prospect to Watch: Austin Cangelosi — F — I thought Cangelosi should have gotten taken last season. With terrific speed and puck-handling ability, there is certainly some upside. His size probably held him back, but based on the way he’s already played this season, there’s good reason for him to earn more looks in his second year of eligibility. He is a legitimate goal-scorer. 9. Fargo Force (4-4-2) — A bit of a sluggish start to the year for the Fargo Force is a bit reminiscent of last season, but there’s reason for optimism. Toronto pick Dominic Toninato and NHL Draft-eligibles Brendan Harms and Gabe Guertler have proven to be formidable offensive weapons for Fargo and should only improve as the year progresses. Now if the Force could just solve that pesky problem of letting the other team score more goals than they do, they should be solid. Based on the tough schedule the Force have faced early, expect better soon. Prospect to Watch: Gabe Guertler — F — The Florida native seems to be doing just what Fargo thought he could do when they drafted him. At his best, Guertler is a high-end goal scorer, who knows how to get in positions to score and has a devastating release. With nine markers, he is the USHL’s leading goal-scorer and has put the puck on net 42 times already this season. This is already looking like a breakout year for the undersized forward. 10. Omaha Lancers (4-7-0) — Considering the Lancers have played eight of 10 games on the road, a 4-7 record isn’t so bad. This is also a fairly young team, so there’s reason to believe Omaha is going to improve as the season goes on. Omaha has been a bit offensively challenged and goaltending hasn’t lived up to expectations, but getting a few more home games under their belts in a new arena could be what the doctor ordered. Prospect to Watch: Connor Chatham — F — The 17-year-old isn’t draft eligible until 2014, but has already made an impact on his new squad. Having spent last year at the NTDP, Chatham has some USHL experience, which probably comes in handy. He has four goals and two assists in 11 games so far, playing a more established role. A big body at 6-2, 209, Chatham has some snarl to his game and if he keeps up a productive scoring rate, he could be a quality player to watch for the 2014 Draft. 11. Indiana Ice (3-9-1) — Alright, so the Ice have more losses than any team in the league, but they’ve also played more games than anyone else too and a good portion of those tilts have come on the road, where Indiana is a dismal 1-7-1. That said, this squad has scored 38 goals as a group, led by Austin Ortega and Brian Morgan, who each have seven. The offense has been terrific, but without defense or goaltending, it won’t much matter. Due to the offensive potential of this team, I couldn’t let them slip much lower in the rankings for now, but if things don’t turn around defensively, it could be a long season for Indiana. Prospect to Watch: Joshua Jacobs — D — Not draft-eligible until 2014, Jacobs has some serious offensive potential from the blue line. He has good size at 6-2, 190 and is just 16 years old. The youngster has taken 24 shots on goal this young season and has four assists so far. He was a member of the U.S. Youth Olympic Team last year and is considered one of the best American 1996-born players, so keep a close eye on this one. 12. Des Moines Buccaneers (4-6-1) — It’s been a rollercoaster start to the season for the Bucs, losing its first four, before winning its next four and then another three-game skid. First-year head coach Jon Rogger apparently has worked some magic with a Buccaneers team that looked like it could be the league’s worst in preseason. A lot of that has to do with the terrific play of first-year goalie Nick Ellis who has had to make 226 saves in just six games. The offense hasn’t been dynamic as a whole for Des Moines, which is why it’s tough to know if they’ll be able to keep pace with the rest of the league, but if the goaltending remains strong it’s possible. Prospect to Watch: Nick Ellis — G — Looking at the numbers Ellis has put up in his first six USHL games is something else. The second-year draft eligible has faced an average of 37 shots a game and has come out with a 3-2-1 record, 2.13 goals-against average and .946 save percentage. That’s pretty noticeable. Should he keep up such a performance, he may put himself on the radar among a very weak U.S. goaltending crop this year. 13. Tri-City Storm (3-6-1) — Hampered by injuries this season, the Storm have had a hard time getting things going. As a result, the team has scored a league-low 20 goals. If Tri-City can get back to health, there’s some solid forwards on this roster that should be able to produce at a fairly high clip. Goaltender Johan Mattson has been a highlight for the Storm, collecting all three wins, while posting a .915 save percentage and 2.69 goals-against average. Prospect to Watch: Trevor Moore — F — The first-year draft-eligible is having a good season so far leading the team in scoring. Though a bit undersized Moore has solid speed and good offensive instincts. He was a C-rated prospect by CSS, so he’s on the draft radar. Continuing his solid scoring pace will keep him there. 14. Green Bay Gamblers (2-7-2) — Well, this is quite a tumble. The defending USHL champions went winless in their first five and have just two victories to date, one of which was over a struggling U.S. National Under-17 Team. Green Bay is young, but I don’t think anyone expected such a sluggish start to the year. The veterans are producing, but the relative lack of experience in key positions has been detrimental apparently. This is a team you’d expect to get better as the season progresses. It’s just going to take time as the youngsters gain experience and confidence. Prospect to Watch: Nick Schmaltz — F — With the youth being served on the Green Bay roster, it’s only fitting to spotlight one of the strong 16-year-olds on the team. Expected to be one of the top Americans for the 2014 NHL Draft, Schmaltz already has seven points including six assists. The younger brother of Blues first-round pick Jordan has first-round skill or so it would seem. The Gamblers may take some lumps this year, but Schmaltz should be a key guy going forward. 15. Team USA (2-8-1) — The team made up of two teams has struggled early. That’s likely due to the fact that the U.S. National Under-17 Team has played all but two of the games so far, though the U18s went 1-1 in their two games as well. As the U17 squad — which by all accounts is long on skill — adjusts, as it always seems to over the course of the season, the wins will come. Despite the poor record, Team USA has scored 35 goals as a group this year, which would be a really strong number 11 games into the year if it hadn’t also allowed 56. The best is yet to come from this team, but the early-season hole is dug quite deep. Prospect to Watch: Jack Eichel — F — The U18s will get plenty of pub this draft season, but Eichel is an intriguing player on the U17 squad. He’s not draft eligible until 2015, if you can believe it, but is already looking like a first-round talent. He has a goal and five assists, but there appears to be a lot more to give for this youngster and we’re still two years away from his draft year. Yikes. 16. 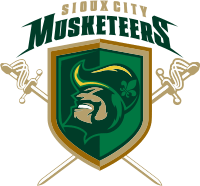 Sioux City Musketeers (2-4-3) — There have been a lot of just-misses for the Musketeers this season, but the team remains winless on the road, which will obviously have to change. Additionally, the offense hasn’t exactly been where it needs to be with just 22 goals to date. Luckily, the goaltending has been sound for Sioux City, with Joe Ballmer collecting some nice numbers including a 1.78 goals-against average and .931 save percentage in six games. There are enough veterans on this team to have expected better, but even though they rank 16th here, it’s more a testament to the league right now. There’s distinct separation between the top and the bottom, but as is often the case in the USHL, things can change awfully quickly from month to month. Prospect to Watch: Jake Montgomery — F — After showing some good skills in the All-American Prospects Game, Montrgomery might have given himself a little boost in his second-year of eligibility. He has good size and decent enough hands where he should be able to produce at a high level. He has five points through eight games, but has done a nice job getting pucks to net with 21 shots on goal. This entry was posted in American Prospects, Junior Hockey, NHL Draft, USHL. Bookmark the permalink.